Plan your fishing trip – get information on what’s biting in Myrtle Beach. Our Myrtle Beach fishing report shows you what is biting each season. 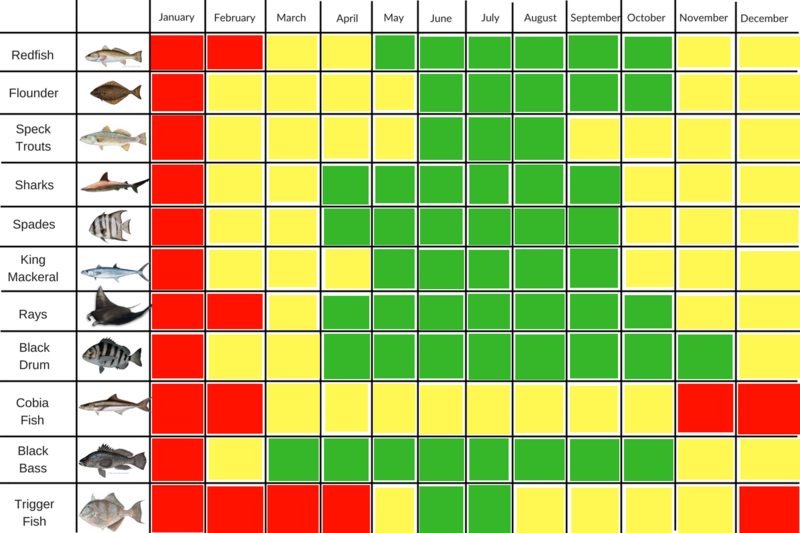 We have a great seasonal guide on what is generally biting during that time. All across the Grand Strand, there are all kinds of anglers catching fish everyday. From deep sea fishermen to local Myrtle Beach pier fishing, there is a fit for anyone who wants to go fishing in Myrtle Beach. Check out the latest Myrtle Beach fishing reports from all over and add yours if you’d like to featured here. While we try to provide the most up to date fishing knowledge around, we know that most seasons have similar fish running. If you’re coming in the following seasons, we have mini-guides below that explain the type of fish you’ll likely catch. From shore fishing to offshore and deep sea, check the charts for what you’ll likely be gunning for. In the hot Myrtle Beach months, things are busy! All the Myrtle Beach Fishing charter boats are running, piers are full and vacationers are in full swing. This is the most popular season for good reason: the fishing is great! Fishing off the piers in Myrtle Beach during the summer is sure to have some competition: you’ll likely be snagging a spot alongside more than a few other fishermen jockeying for position along the side rails. The most popular, off shore fishing in Myrtle Beach is usually where most charter captains will take you. You’ll probably go about four to five miles off the coast or sometimes run the back creeks all over Little River and Calabash. If you are lucky enough to go out on a big boat for a deep sea fishing adventure, you’ll be able to make some pretty memorable catches! Offshore fishing has some serious advantages like deeper waters, usually less competition (you can find a spot where no one else is fishing) and more privacy. We recommend that you try an offshore Myrtle Beach fishing charter if you are looking for the best experience. For our deep sea fishermen and women, you’ll be snagging the best fish in Myrtle Beach. When things cool down, some fish start their breeding and become much more active while others slow down. There are fewer charter boats (although some do run all year round). But, that doesn’t mean there is nothing to catch! 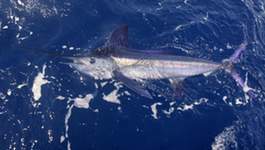 Check out the options fish we see running in the off season. Just off shore, you’ll be catching a few less than you may in Summer, but a few large fishing are still running up and down Little River to Calabash.